U.S. Coastguard Cered • I.M.O. Cered apply the coating. 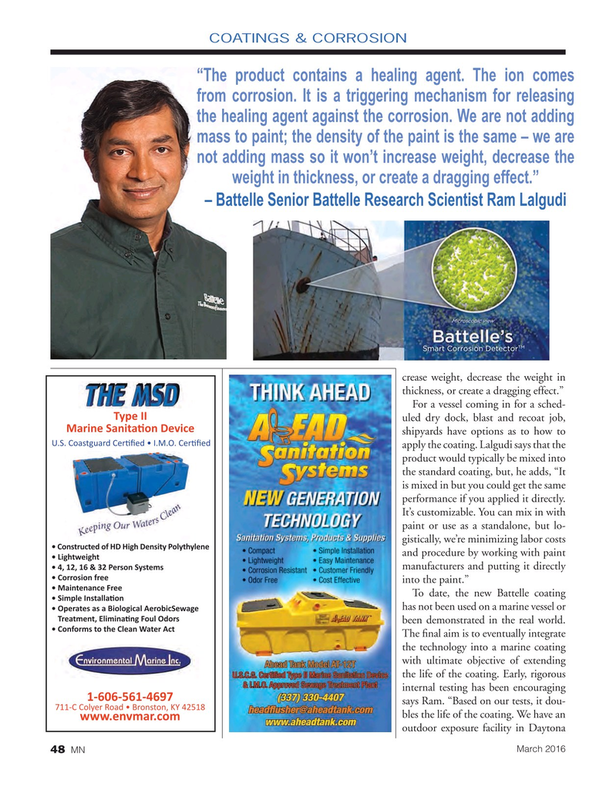 Lalgudi says that the product would typically be mixed into the standard coating, but, he adds, “It is mixed in but you could get the same performance if you applied it directly.